Please note that the content of this book primarily consists of articles available from Wikipedia or other free sources online. 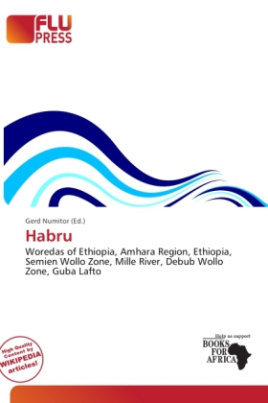 Habru is one of the 105 woredas in the Amhara Region of Ethiopia. Part of the Semien Wollo Zone, Habru is bordered on the south by the Mille River which separates it from the Debub Wollo Zone, on the west by Guba Lafto, on the north by the Logiya River which separates it from Kobo, and on the east by the Afar Region. Towns in Habru include Mersa and Wurgesa. The altitude of this woreda ranges from 700 meters above sea level where the Mille enters the Afar Region, to 1900 meters at its westernmost point.